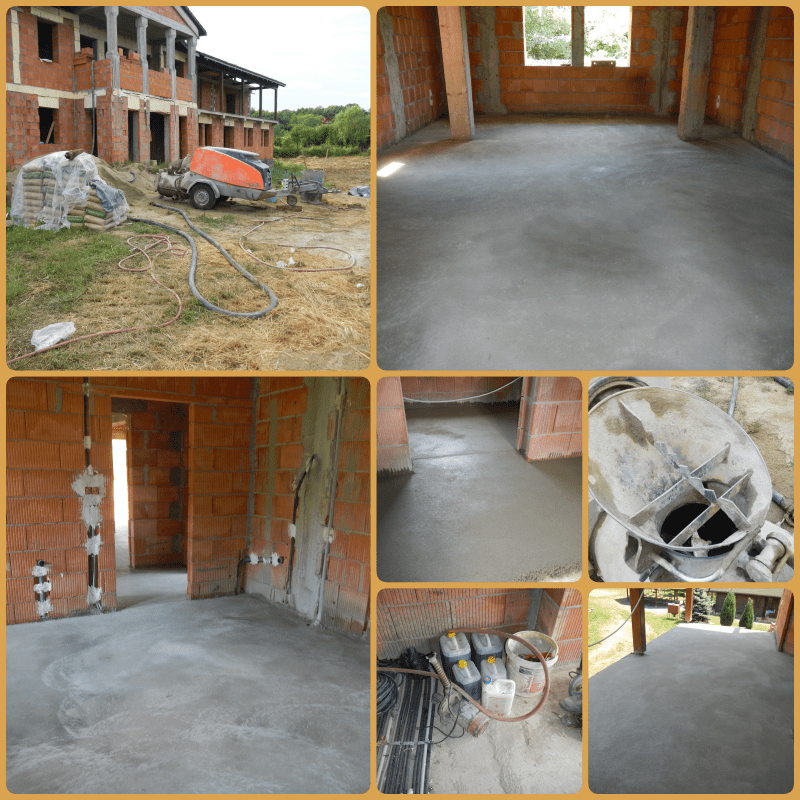 We would like to announce that a new step was taken in construction of the new Monastic Building: the realization of a 500 square meter concrete helicoptered screed (3cm in height) that will protect the electric cables and the drainage tubes, also being a equalization of the floor level in the whole building. The team worked really fast (and well), finishing in one and a half days (the 16-17th of June). Thanks guys! After the concrete has dried up, the plumbers will continue their work.